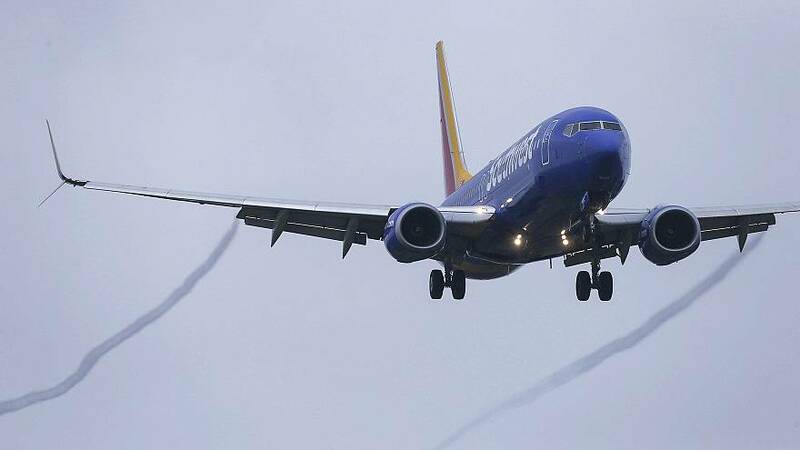 A Boeing 737 Max 8 plane — the same model that the Federal Aviation Administration grounded after two recent crashes — made an emergency landing at Orlando International Airport on Tuesday afternoon. No passengers were on the jet, only two pilots for the plane's owner, Southwest Airlines. The pilots were flying the jet to California for storing it when an engine overheated just before 3 p.m., a spokesman for the airline told NBC News. The plane was in the air about 11 minutes, the spokesman said. The flight was scheduled to fly to Southern California Logistics Airport in Victorville, California, for short-term storage, according to the spokesman. "The pilots reported a performance issue with one of the engines shortly after takeoff," the spokesman said. The pilots landed safely at the airport. The plane will be moved to the airline's Orlando maintenance facility for review and will be taken to Victorville once it's safe to do so. The FAA on March 13 grounded the Boeing 737 Maxjets after it found that a Ethiopian Airlines aircraft that crashed on March 10 had a flight pattern very similar to a Lion Air flight that went down in Indonesia in October. Under the FAA order, airlines are allowed to fly the jets without any passengers to a base for a purpose of storage or maintenance. The cause of the Ethiopian Airlines and Lion Air crashes of the 737 Max jets has not been determined, but investigators probing the Lion Air accident have focused on an automated system designed to use information from two sensors to help prevent a dangerous aerodynamic stall, The Associated Press reported.